Full of beautiful, heart-wrenching, and hilarious stories, A Million Miles in a Thousand Years details one man's opportunity to edit his life as if her were a character in a movie. 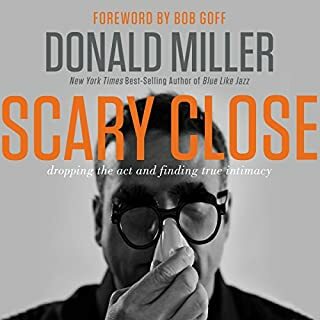 Years after writing his best-selling memoir, Donald Miller went into a funk and spent months sleeping in and avoiding his publisher. One story had ended, and Don was unsure how to start another. But he gets rescued by two movie producers who want to make a movie based on his memoir. When they start fictionalizing Don's life for film - changing a meandering memoir into a structured narrative - the real-life Don starts a journey to edit his actual life into a better story. 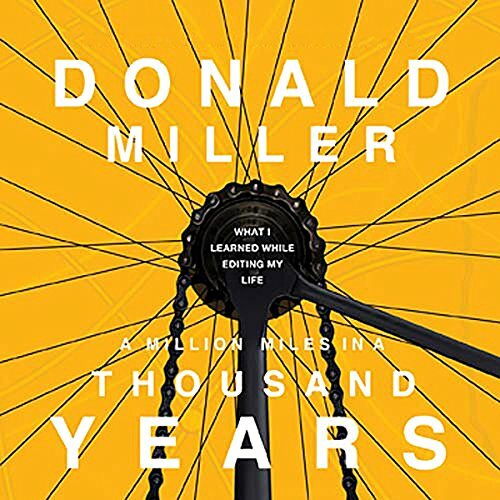 A Million Miles in a Thousand Years details that journey and challenges listeners to reconsider what they strive for in life. It shows how to get a second chance at life the first time around. A blessing to listen to this book. Millers stories give birth to a desire deep withing my being to grow and experience more of what life has to offer. I need to live better stories. Better stories need to be lived. Great book that makes you see the world differently. I spent a day at the park and listened to this book, start to finish. I laughed out loud, I cried a little, and I took with me some insights for my own life. This book isn't for the cynical, but the hopeful. With an open heart and mind, you will -- at the very least -- enjoy a well-crafted journey of personal discovery. And if this book comes into your life at the right time, you'll get even more out of it. I don't want to give anything away, because this book has the potential to delight, and I wouldn't want to rob anyone of that. If you enjoy thoughtful, self-aware writing with a message, this book is probably for you. Makes you think, powerful, fun. Don reads his own book and because of that he really makes it. The voice tone and inflection adds something that I did not expect. His cadence and flow make this GREAT story even better. I am sorry, but I don't get the title. The book has nothing to do with bikes, time or traveling. It reminds you to live a good life, to live a good story - a story worth telling. It is a very human book. What made the experience of listening to A Million Miles in a Thousand Years the most enjoyable? This is not a religious book, I got this for my non-Christian friends. I read books about existential questions by authors who are New-age, Jews, Muslim, agnostic, or non-religious. Donald is Christian, and there are issues in life that he narrate from a Christian's perspective, like how God loves us, how God is present in our lives, but not in the mission to convert the audiences. I love the fact that Donald narrated his own book, his monotone is embedded with his great sense of humour, and you can hear that subtle cheekiness in the beginning, slowly move to heavier issues he witnessed. He talks about his experiences in life without focusing solely on himself, but people he came across who live not only to write a better life story for themselves, but for strangers, too. I listen to many of my audio books more than once, and this one, I listen to it a few times already. What other book might you compare A Million Miles in a Thousand Years to and why? This is not a self-help book, and author didn't reflect on his life was hard for him, and how others have wronged him, so I don't know what other books to compare this with. 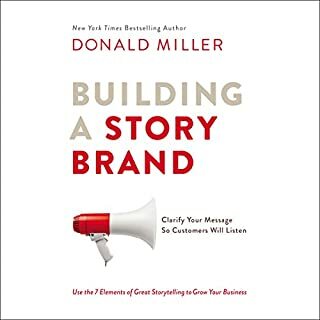 What does Donald Miller bring to the story that you wouldn’t experience if you just read the book? I like how he is not giving you an answer as if he knows what life is all about, but though his experiences and people he met, he realized there are some common elements to a good story line of one's life. He talks about his own struggles, his friend's baby's birth, and friend's wife's death, he talks in the way that brings us to the experience. I feel like I had a long walk with Donald and he told me all these things he observed. The words brought me tears, the struggles in a broken family, the sadness of losing your love one. A very honest book. Love Donald Miller................very inspirational, has led to changes in my life. The way he shares his "story" and encourages us to consider our "story" was great. I need to find more from this guy. This audio book was better than expected. It's one of those witty you need to think about life stories. The author was great and love when they are the Narrator of their own books. 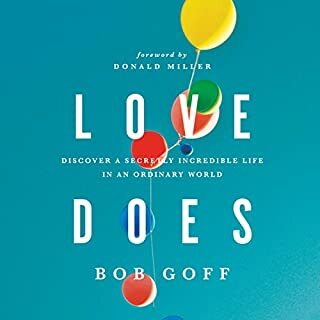 I felt good after listening to this book and think we can all learn a little something from the authors message about living a better story. It feeds the appetite of the soul. If you could sum up A Million Miles in a Thousand Years in three words, what would they be? What was one of the most memorable moments of A Million Miles in a Thousand Years? When he spoke of his journey with his dad; Donald did not try to sensationalize, but rather captures true feelings. He is just real. The experience of his dad. One of the best reads I have ever experienced. In various subtle tones, it basically shared principles for life itself. In my case it came in handy at a time when listened to it out of a recommendation and despiration. last day in half, I devoured Miller's book. I listen to it an additional time since. I highly recommend the book. I loved this book! He was real and profound on so many levels. I enjoyed his life's story and how he touched a place in me to review my own life's story and to look for ways to make my story what I would like it to be. I'm buying the hard copy so I can mark places that I want to remember. Officially now one of my favorite books ever. All I can say is: Get this book! It’s amazing. Great book... over too soon! I truly enjoyed this book. I'm not certain what I expected coming in, I guess nothing because it was a blind recommendation. Not knowing what you're looking for or what books you enjoy, I would recommend it! It kept my attention and I could listen to it again. Plus, there are some gems in here, things that will make you nod your head in agreement and rewind to hear it again. That said, I listened at 1.3 speed, just a side note. Get the book, you will enjoy! I couldn’t get into any audio book before this. But this book came to me at a difficult time in my life, when I wondered my meaning and purpose. And now I understand more. Great listen. I laughed and cried. I have thoroughly enjoyed every minute of this audio. I love the concept that our lives are story, that they can be made better or worse depending on how we want to live. Simple but so powerful. I think this has to be my favourite book of 2010, as its written in a style that really captivated me, easily taking me on the author?s journey with him. 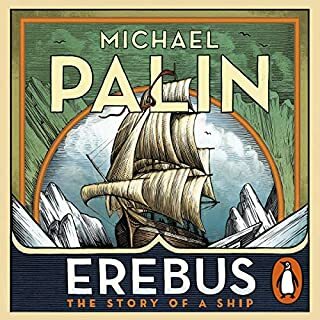 His descriptions of emotions, characters, situations, scenery and the mundane is just brilliant and I would thoroughly recommend this book to anyone and everyone. I took a while to listen to it as I didn?t want to rush and miss anything out, by not giving it my full attention. 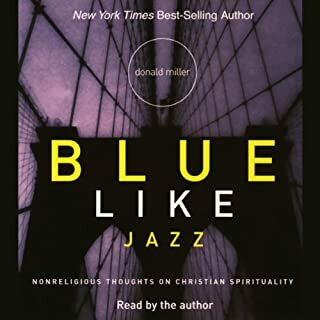 Donald Miller?s narration is excellent, adding to the enjoyment of the book. I?m a new comer to Miller?s work but I will definitely be looking out for more in the future. 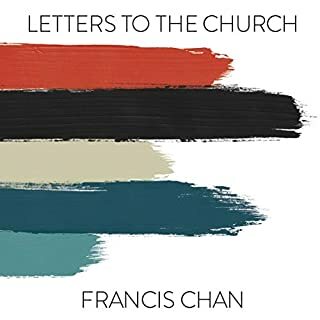 Thanks to christianaudio.com?s reviewers program for this copy. Are you feeling stuck? Or perhaps adrift? If you are feeling stuck or adrift then Donald Miller's earthy, self-depricating story-telling might just be what you need. I always listen with a wry smile.